I'm a digital marketer specialising is SEO, social media and website development projects. I've worked in a variety of industries and now manage an SEO team in a London media agency. Current clients include Avis, Budget, Simplyhealth, VisitBritain and London Loves Jobs. 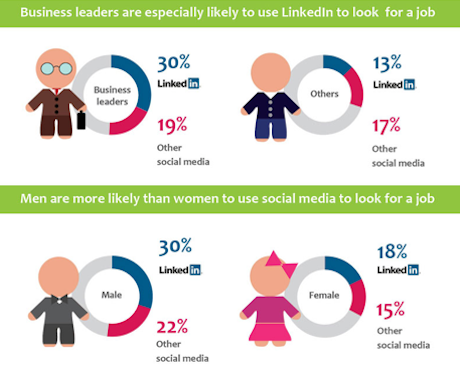 Employers and recruiters using social media, especially LinkedIn, will not be news to many people. But now professionals are turning to social media to proactively search for vacancies. Anyone with a LinkedIn profile has probably received, and perhaps even say have been annoyed by speculative emails from recuiters with roles to fill. What may be news is that social media is now establishing itself as a media for professionals to use proactively in their search for a job.